Carve, Drill or Sculpt a Pumpkin! Gone are the days of using Mom’s best kitchen knife to carve a simple jack o’ lantern with triangle-shaped eyes and a toothy grin. Pumpkin carving is an art for many, but even those who aren’t so talented in that department can create original and fun lanterns to light our front steps for Halloween! 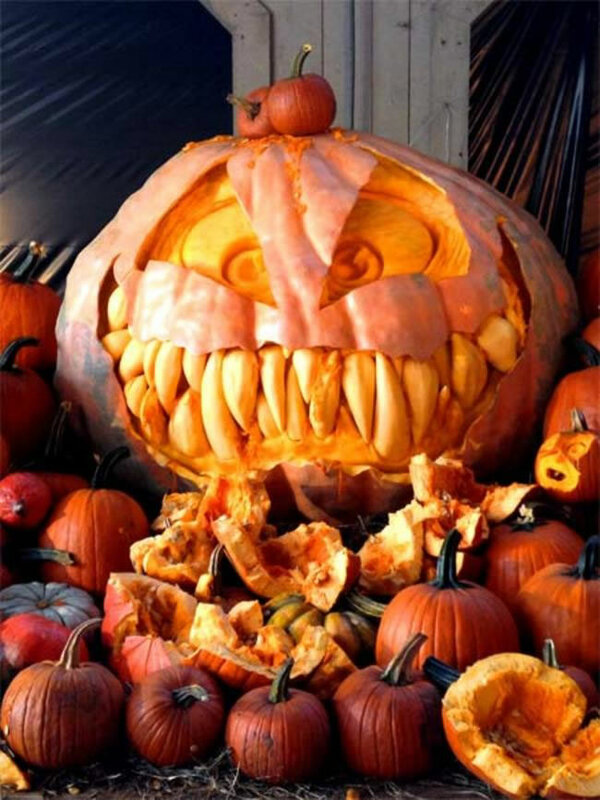 - Cleaning out the pumpkin is messy, and best done on a paper-covered table or done outside. Once the inside is clean of seeds and pulp, use a spray bleach cleaner such as Clorox Clean Up to spray the inside of the pumpkin to help stop it from molding quickly. - Pumpkin carving kits can be bought for just a few dollars, and they usually contain a utility saw, hand “drill,” and scraper. Some kits offer templates to choose from. - The amount of free printable templates are almost overwhelming, and you’ll probably end up with more than one jack o’ lantern if you go through this list of available templates from The Spruce Crafts! - Find a template that compliments your skills, or find an easy one that children can help with, and print. Tape it to your cleaned-out pumpkin, and use a pointy object to trace around the line drawing, poking through the paper and into the pumpkin. Cut the pattern using a small saw, and spray the newly cut areas with the bleach cleaner, and your piece of art should last for several days! - Metal cookie cutters can also be used for a different look for your pumpkins: using a mallet, gently tap the cookie cutter through the carved pumpkin shell. Go around the pumpkin using this method, or place the cutter in random places for a less-structured look. - A power drill can make creating a pumpkin lantern a breeze! Use different bit sizes to make your pumpkin sparkle, like these from onelittleproject.com. - Battery-operated tea lights are perfect for lighting your jack o’ lantern, and last for several hours, as well as being safer than a traditional candle. Once you purchase an inexpensive pack, replace the batteries when the old ones die, as the LED bulbs inside last much longer than any wax tealight candle. - For more festive and different approaches to decorating your porch with other members of the squash and vegetable family, check out these ideas from The Garden Glove. Keep the pumpkin-carving safe: supervise younger children, and even help them when they want to use tools to cut the pumpkin’s new face. Most children love cleaning out the “guts” of the pumpkin, so have them pick out some seeds for cleaning and roasting later for a healthy treat. Most of all, have fun, and make memories! 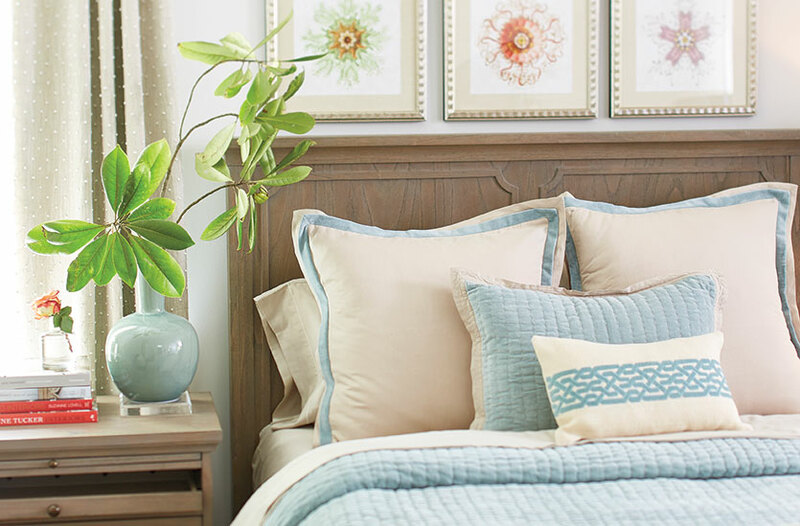 - Change pillow and cushion covers from their bright colors to more neutral tones, with a splash of soft red or orange here and there. - Once your potted plants’ Summer blooms fade, repot your containers with ornamental grasses, decorative kale, pansies, marigolds and chrysanthemums. - Drape light blankets over the backs and arms of your seating to use on chilly evenings. - If you don’t already have one, buying or creating a firepit is a great way to warm up cool nights. If you’re not sure of your style or if the budget is tight, morningchores.com has photos and links to 57 different DIY firepits! 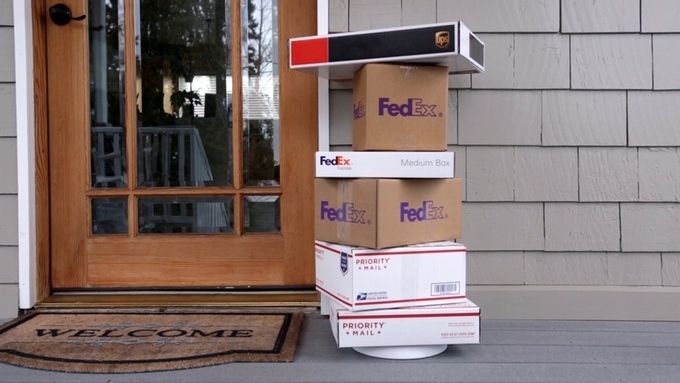 - The days are getting shorter and adding lighting to your porch is important. With so many choices for inexpensive and energy-saving LED lighting, you can add torches, candles and lanterns to a table for soft, relaxing lighting without spending a ton. - Add a cozy area rug to ward off cold feet and add texture to the space. - The cool breezes we long for in the heat of July are a little less desirable on a cool Autumn night. Add some no-sew outdoor curtains using drop cloths, of all things, to block the wind, and use strong adhesive like E6000 to add heavy washers at the bottom to weight the curtains down. 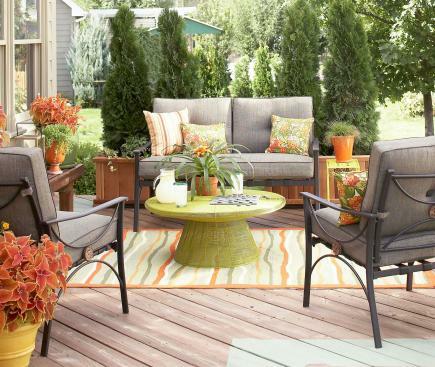 - Making the outdoors more inviting in Fall means adding warmth--literally. Outdoor heaters come in many styles and price ranges and use electricity as well as propane to keep you and your guests’ toes warm. - Finally, when the pumpkin patches open, get a variety of pumpkins, gourds and other fall produce, and tuck them into your container plantings, or create a centerpiece or to make the outdoors an even more inviting space to enjoy. Internet security continues to concern more and more users, especially after one of the largest identity-theft protection companies in the US, LifeLock, discovered that they may have left customers’ email addresses exposed, making them vulnerable to phishing and other spam-related attacks. 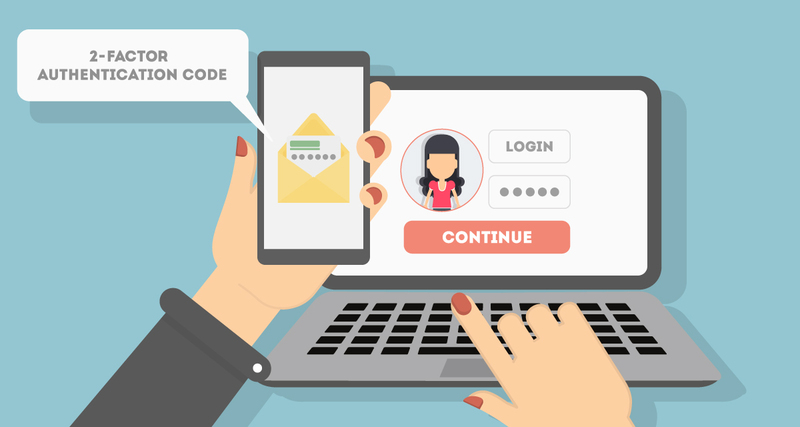 Many apps, email providers, and websites now offer second-factor authentication (2FA) to help avoid identity theft. Here’s a brief rundown about using 2FA, as well as other ways to keep our accounts safe. - Many internet security experts suggest that you change your passwords frequently. Yes, it can be a pain, but someone hacking into your online banking account would be even more painful. Use upper- and lower-case letters, numbers and symbols, or try a “passphrase,” a brief phrase usually limited to fifteen characters. - Change your security questions often if you have that option. Most account profile settings will allow you to choose different questions. - Hackers are becoming more inept at stealing mobile phone numbers and hijacking SIM cards, as well as social media accounts that are associated with the numbers. Motherboard writes that we should set up a special password with our cellular providers to make it more difficult for these thieves to pretend to be the account owner when they call the phone company. - Almost everyone uses a computer at work these days, and you may occasionally use it for personal things. The best advice: don’t use your work computer for anything personal. If you need to handle something during the day with your child’s teacher, handle it in phone conversation or use your smartphone’s email app. Internet acceptable-use policies are in place in most business and organizations, so it would be best to re-familiarize yourself with that section in your personnel handbook. - PCMag lists many popular websites that have the option of 2FA, it’s just hiding in the settings. The article also gives us directions for different websites. - If you must write down passwords for multiple accounts, make sure whatever you have them written on is in a locked and secure place. - Our smartphone’s software is becoming so advanced that they can recognize our fingerprints and faces, but our pc’s and laptops continue to use passwords as the most common way for logging in. There are several ways to provide additional information for the apps and websites we log in to, and PCWorld’s website gives us a rundown of the best apps available. The best protection we can give our personal info is to not get slack. We must be proactive and stay one step ahead of ourselves, as well as anyone who’d like access to our personal information. As the saying goes, “An ounce of prevention is worth a pound of cure,” and that certainly applies to keeping our own data secure and out of the wrong people’s hands. When we’re enjoying the warm weather, our pets usually are, too. When we’re spending time outdoors with family and friends, we usually include our pets. Keeping our furry family members safe should always be a priority, and these tips may be a refresher course for some, but it never hurts to make sure all our loved ones are kept out of harm’s way. - Fencing should be examined to make sure there are no gaps at the bottom, and that all materials are in place and secure. You don’t want Fluffy taking a neighborhood excursion by himself. - The garden and landscaping bring us great satisfaction, and animals like to take a bite of growing things occasionally. Check these lists for cats and dogs from ASPCA to make sure you keep your pets from chewing on them. - Keep any swimming pool chemicals and mechanical lawn tools sealed and out of your pets’ way. Some of these products have a scent that is enticing to animals, and they wouldn’t hesitate to give them a try. - It may sound sensational, but if you have an animal that is a toy breed, or weighs five pounds or less, keep an eye and ear out for any predatory birds. Owls, hawks, and eagles have been known to attack small pets, mistaking them for a wild meal. - Sometimes it’s necessary to leave your dog or cat outside while you’re gone for a while. Make sure they have adequate shelter to keep them cool, and plenty of cool water to prevent heat stroke or dehydration. - Allowing your cat to roam in the yard is great for them, as they are natural hunters, and they find great pleasure in all the sights and sounds. Keep an eye on them in case they see a bird they’d like to get to know better, or find a snake in the flower bed. Protecting wildlife and your feline friend go hand-in-hand. - Does your dog go with you for exercise while you’re biking or jogging? Some active pet owners take a water bowl with them, so they can offer a cool drink to their pet, and you can train them to drink directly from the bottle using an adaptor created especially for dogs. - Going fishing or water skiing? Make sure you have a life jacket for them, as well as an overboard plan. 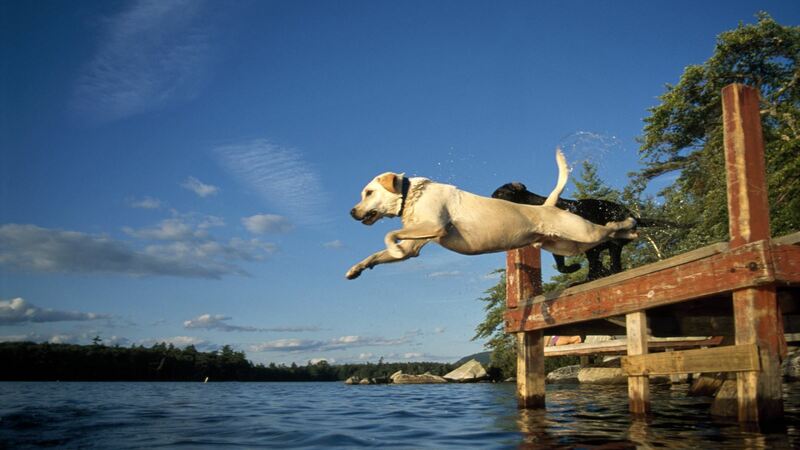 If you think Fido would enjoy jumping into the water, maybe you should leave them at home or at the kennel for their safety as well as your own. - vetSTREET offers some great tips for taking your dog to the beach. Heat, waves, and hot sand can all play a role in just how much fun everyone will have--or not. - It’s vacation time, and you’d like to bring your pet with you, so call ahead for information on pet-friendly lodging, and where they can stay for events where pets aren’t welcome. Make sure you have a vehicle safety harness or seat belt for them or their carrier while you’re traveling. Summertime brings water fun, cookouts, and don’t forget the insects! Keep your pets safe from biting insects, and be sure they get a flea and tick repellent treatment and heartworm prevention to avoid any diseases these insects can cause down the road. Pets need to be kept as safe as small children, so take preventive measures so you can have a fun and healthy Summer with the whole family. Let Kids Grow - In The Garden! Taking time to work in the garden can be turned into family fun when you get the kids involved. Children are usually fascinated with how things grow, and being a part of the process may even get them to try some new foods! Try some of these projects to get them interested, and not to mention, free help in the garden! - A bean teepee is a fun and relatively easy project. Assemble three 8-foot poles in a tepee shape, make sure you give them a good push several inches into the soil, and tie the poles together at the top with jute twine. Continue using the twine to make a loose net so the vines will have support, just make sure you leave one section open for a doorway. Plant pole bean seeds at the “base” of the poles and webbing, and watch them grow, and the kids will soon have a little hideaway with fresh beans close by for a snack. - Once your garden is planted, have the kids paint rocks as decorative row markers. - Hummingbird feeders are a common sight, but how about butterfly feeders? Make this one from PBS Parents with a clean ketchup bottle, fake flowers and a few other household items. - If you don’t have room for a full garden, try a few plants that can be grown in clean five-gallon buckets. Make sure there’s a drain hole in the bottom, add about an inch of gravel, broken old clay pots or old bricks, and add a good potting soil/compost mix. Plant cherry tomatoes, bush beans, cucumbers, or zucchini, following the planting guidelines. - Plant recipe-specific plants: have a spaghetti sauce or pizza row with tomatoes, oregano, basil and bell pepper; a salsa row can have tomatoes, cilantro, garlic, peppers and onions; plant chamomile, any type of mint, or lavender and make tea! - Sunflowers are always an amazement to children because they grow so tall. These beautiful giants can be grown in many layouts using a garden hose to make the design, leaving room for a path if you’re planting a mini-maze, then planting the seeds along the way, and sunflowers can even be trained to make a little house. - Grow flowers whose blossoms open at different times of the day: morning glories, daylilies, four o’clock, evening primrose and moonflowers. - A garden based on favorite storybooks is another good way to get them to dig in the dirt. Plants based on The Tales of Peter Rabbit, Stone Soup, and Blueberries for Sal are just a few ways to engage children in growing and eating what they’ve grown. - Adding a water feature doesn’t have to mean a huge pond with waterfall--small pond containers are available at garden centers, as well as water plants. Create a mini pond with this guide from Better Homes & GardensⓇ. There are so many benefits to your family while spending time together outside. 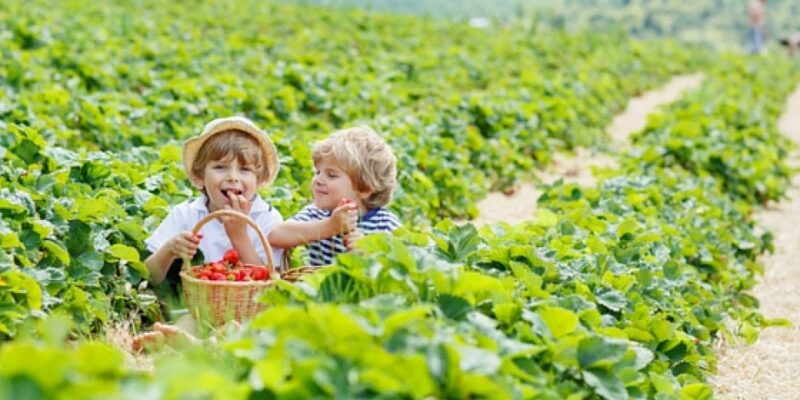 Gardening encourages your children to try new things, and gives them a knowledge of where their food comes from, along with a little biology. You may even be creating life-long gardeners. Most importantly, you’re making memories. St. Patrick’s Day has become a highly celebrated holiday in the US. When Irish immigrants came to America, they chose that day to celebrate home and all that was Irish. It took until the 20th century for people of non-Irish descent to join in the festivities. Many American cities turn green on March 17, even coloring waterways green, not to mention green food and drink, and shamrocks on every corner. - Boston, Massachusetts hosts the reportedly oldest St. Patrick’s Day parade, and has grown substantially since the first parade of Irish-Catholic Redcoats marching down the streets with “Fifes and Drums” to honor their home country’s saint. The South Boston parade route is three miles long and is attended by a million spectators. - Green water isn’t a welcome sight for most people, except on St. Patrick’s Day. Savannah, GA, and St. Louis, MI, celebrate with city fountains flowing green; in Chicago, a portion of the Chicago River is dyed green, and Tampa’s Hillsborough River becomes the River O’ Green. - For 245 years, the streets of Philadelphia have filled with marchers, and the parade has grown to approximately 20,000 participants, including bagpipes, floats honoring the patron saint, and, in 2018, will be led by Grand Marshall Sister Mary Scullion, a member of the Catholic Religious Sisters of Mercy. - O’Neill, Nebraska is home to the world’s largest shamrock, and they celebrate the special day with a parade that centers around the giant concrete leaf and includes a dodgeball tournament. - San Francisco boasts the largest celebration in the western part of the country, and not only has a parade and lots of Irish music, but a huge scavenger hunt. Party-goers enjoy a unique dish for the holiday--Irish nachos made of fried sliced potatoes, of course, topped with cheese, bacon and jalapeños. - New London, Wisconsin becomes New Dublin on March 17 after residents dressed as leprechauns, with city officials’ approval, change the signs in the town. Their parade isn’t complete without a parody adaption of James Joyce’s “Finnegan’s Wake,” using a green hearse. - Yes, Virginia, there is a Dublin in the US, and it’s located in Ohio! The city hosts plenty of festivities for everyone, and the local Lions Club holds a pancake breakfast fundraiser with--you guessed it--green syrup! Before the parade begins, onlookers get to enjoy the Inflation Celebration, where the large inflatable parade entries are brought to life, and it’s a sight to see! St. Patrick’s Day celebrations can be as unique as the cities they are held in. If your local festivities aren’t as different as these, every town and citizen can still be Irish on March 17. 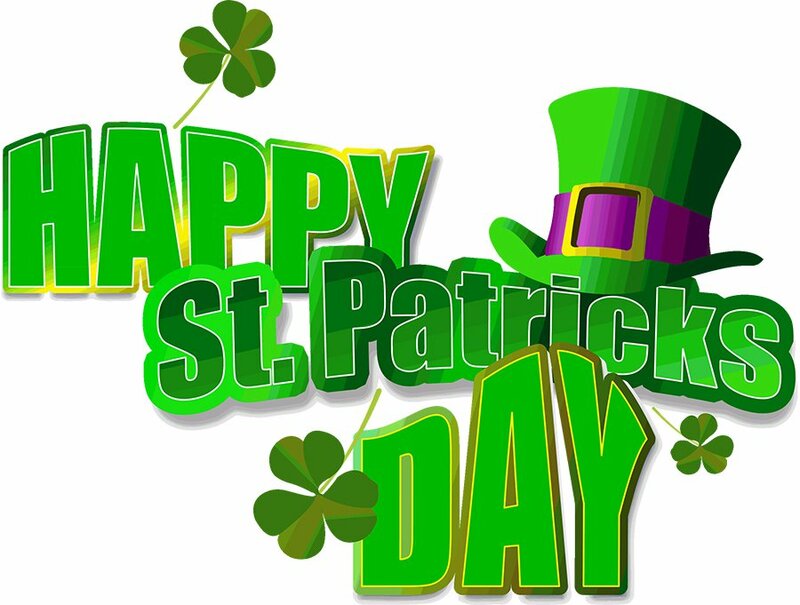 Just be sure to wear your green to avoid a pinch from a leprechaun!